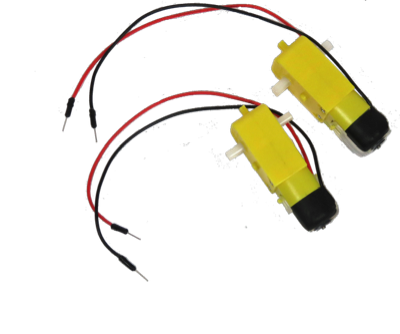 These are the traditional "smart car" gear-reduction motors, but we have them customized with long 9mm pins on the motor leads, as well as a heat-shrink covering to where the wires connect to the motor. 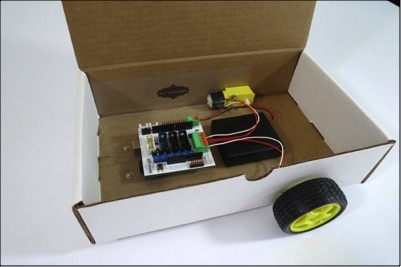 This makes them easy to connect to the motor terminals of the MakerBit+R board, and much more durable and long-lasting for classroom use. 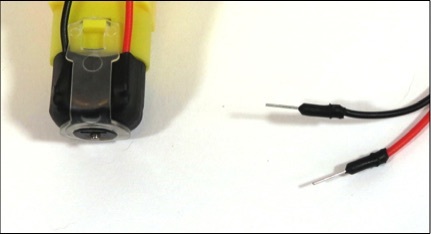 Click here for more information about the ally-socket and ally-pin cables.